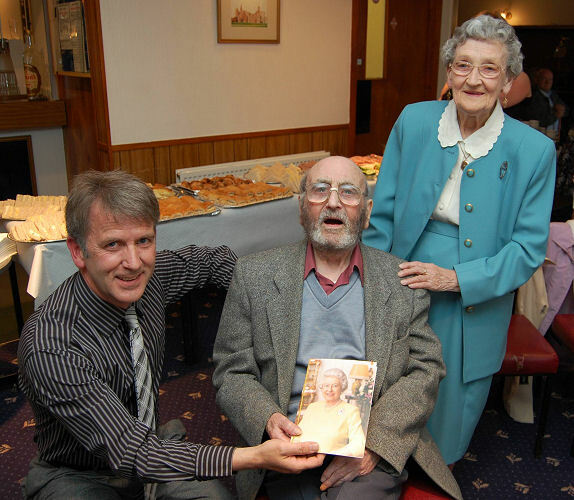 Adam Graham died recently after having just celebrated his 100th birthday. Our condolences to his family and friends. A news article on his 100th birthday celebration is shown below. 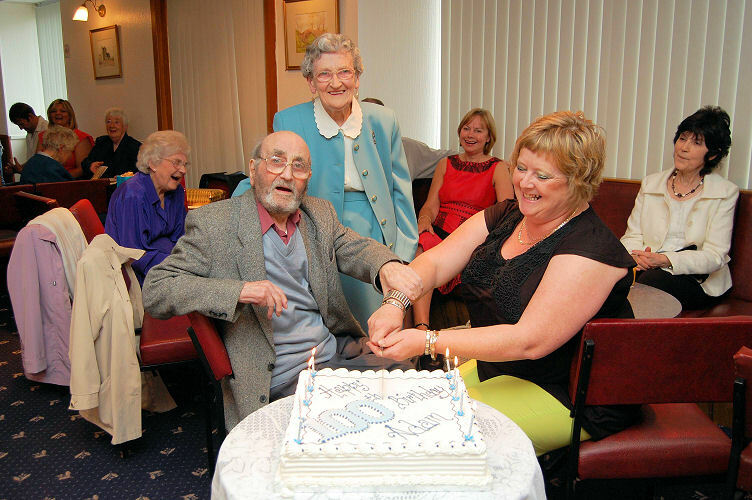 Adam Graham, of Kirkoswald road, Maybole celebrated his 100th birthday last Saturday at a party in Carrick Sports Club when he was joined by family and friends from Scotland, England, Holland and the United States. Councillor Brian Connolly presented Adam with a card from the Queen, one from the Department of Works and Pensions, and a card and gift from South Ayrshire Council. 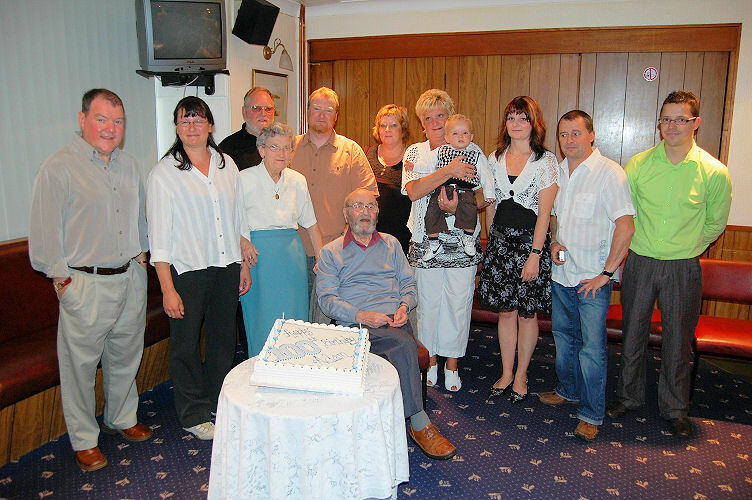 Helped by a granddaughter Adam then cut his birthday cake before everyone sang “Happy Birthday” to him. Adam was born on June 28, 1908 in the reign of King Edward VII when Herbert Asquith had just replaced Sir Henry Campbell-Bannerman who had resigned. Teddy Roosevelt was the President of the United States and, in fact, Adam has lived in the times of 18 Presidents, 18 Prime Ministers, four kings and the present Queen. Adam worked locally for P A McConnell before working in Ayr and then for the Sloans in Glasgow. David and John Sloan were the Maybole men who in 1938 donated the pavilion at Memorial Park to the town. 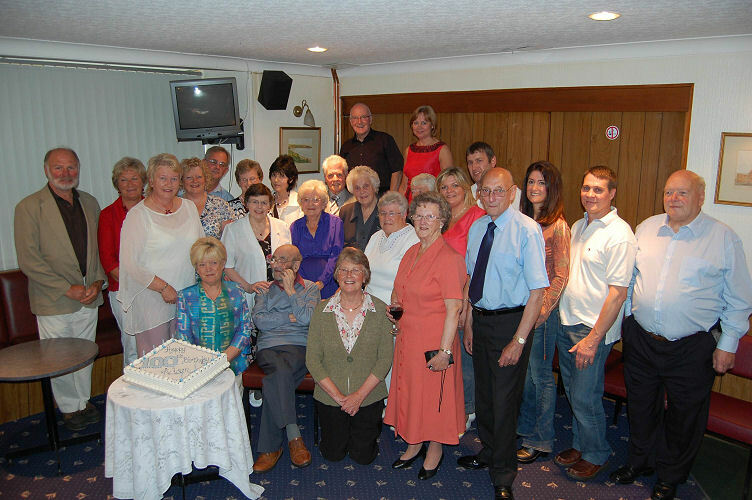 Married in May 1932 in Pitlochry, Adam and his wife Nett had two daughters and on Saturday five generations were present for the big day. Adam was too young to be involved in the First World War, 1914-18, but he did serve his country during the Second World War. He was captured at Tobruk in North Africa and was held as a Prisoner of War in Italy and Czechoslovakia until the end of the war in 1945. After being demobbed Adam worked for various firms all over Britain and retired in the 1970s. 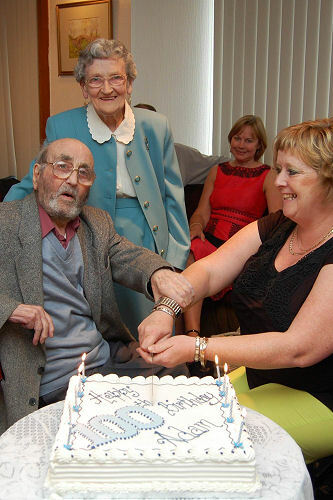 He moved to live with his sister Jenny in 1995, ten years after his wife died. Jenny would like to thank everyone who attended the party and all who gave him cards and gifts.